Google Home smart speaker shipments exceeded Amazon Echo shipments for the first time in Q1 2018 according to research firm Canalys. Google captured 36.2% of smart speaker sales in Q1 2018 with 3.2 million units sold compared to 2.5 million Echo devices according to the study. Google nearly doubles smart speaker shipment market share over Q1 2017 while Amazon falls from 80% to 28%, notching only 8.7% year-over-year growth. UK-based research firm Canalys is reporting that nine million smart speakers were sold globally in Q1 2018 and Google Home commanded the largest share of sales at 3.2 million devices. That translates into 36.2% unit sales market share in the quarter for Google compared to 27.7% for Amazon with 2.5 million units sold. Canalys had earlier reported a global smart speaker sales forecast for 2018 of 56.3 million. The Q1 sales figures suggest the market is tracking too 16% of that forecast which seems reasonable given seasonal sales trends. When compared to Q1 2017, the fall for Amazon is dramatic. During that period, Canalys estimates Amazon sold nearly 80% of all smart speakers purchased globally. That figure fell by about two-thirds to just 27.7% in Q1 2018 while Google nearly doubled its global sales share. Granted, the market has expanded 210% since that time so most of Amazon’s lost share was the result of new entrants in China and elsewhere. The more concerning figure, if confirmed, is that Amazon only sold 200,000 more smart speakers in Q1 2018 than in the comparable quarter in 2017. Given the 2.5 million units sales estimate for Q1 2018, that suggests only 8.7% year-over-year growth while the market expanded by over three times. It is hard to believe that Amazon Echo sales were that soft in Q1 2018, but it seems clear that the sales growth rate has subsided. Google’s biggest advantage is in the channel. Operators and retailers tend to prioritize Google’s speakers over those from Amazon, as Amazon is in the tricky position of being a direct competitor. U.S. smart speaker sales volume fell below 50% for the first time as new countries gained access to the devices and vendors such as Alibaba, Xiaomi and LINE exploited consumer demand in China and South Korea. Google is also benefitting from increasingly being first to market in several countries. After trailing Amazon into the U.S., U.K., Germany, Austria, Ireland and India, Google has had its own first-to-market successes in Australia, Canada, France, Italy and Singapore. It also has announced several other countries where they are likely be first including some Scandinavian and European countries along with South Korea. An example of the time-to-market advantage seems to be playing out in Canada where Google jumped out to a 2:1 market share lead by beating Amazon to market by four months. Amazon still maintains dominant market share in the U.S. in part based on its installed base. Voicebot data shows that Amazon maintained 72% market share in the U.S. through the end of 2017, but that was down from over 90% installed base market share the previous year. The Q1 2018 sales surely shaved off additional share points. Amazon clearly benefitted from a more than two-year time-to-market lead over competitors. However, Google always had many assets to throw behind its smart speaker effort. Beyond technology and the world’s leading knowledge graph, Google has channel partners worldwide that use its Android OS or distribute Android-based smartphones. Google also has operations in many of these countries while Amazon has a limited footprint outside of a few large markets. Amazon is an expert at driving unit volume sales as one of the world’s top two online retailers. 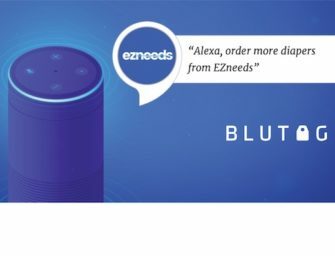 The company has succeeded by providing a well rounded smart speaker portfolio, use of frequent discounting and robust distribution in several large global markets. The question is how Amazon will react to this development, whether they thought it was inevitable right along and how it impacts the sheen of company success in the space. Amazon can likely drive incremental sales through merchandising tactics, but the bigger lever is entry into new countries with pent-up demand. This is a weakness for Amazon since it is building language models and local knowledge from scratch while Google taps into its existing speech recognition and knowledge graph assets. The smart speaker market is still very early in the adoption cycle so anything can happen. In addition, market share battles will likely play out country-by-country as opposed to a global total. The key takeaway for U.S. observers is that Amazon’s dominance is in no way assured and that Google’s growth will likely accelerate further throughout 2018.